Prevent your furniture from digging into your hardwood floor with this item's floor protectors. This rustic end table will be a handsome and stately addition to your living room. Its relaxing finish complements its beaded panels and overhung tops. 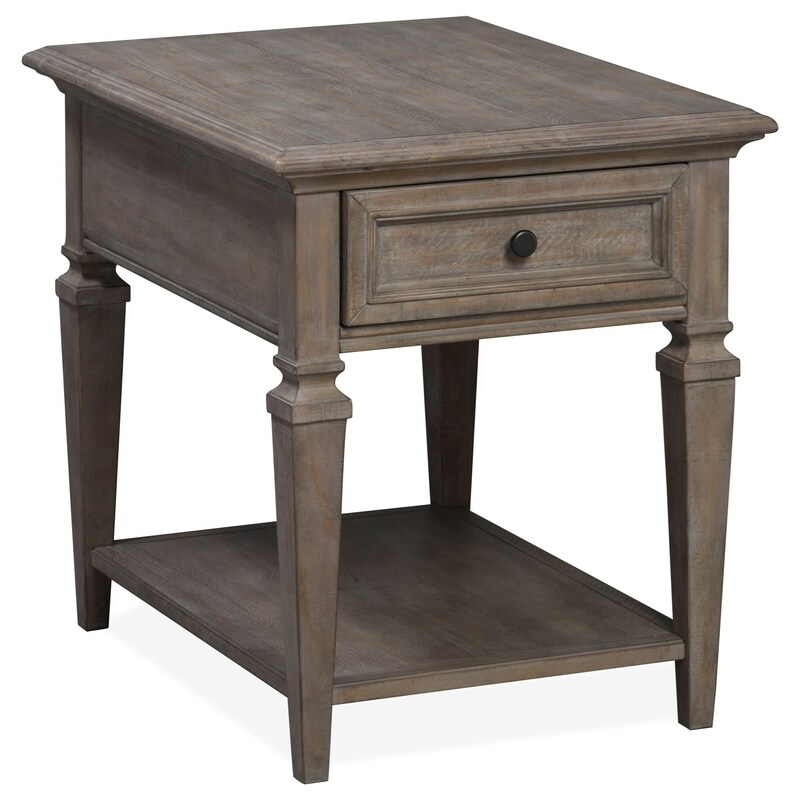 A warm and inviting accent, this end table's neutral tone will be able to fit in with any personal design. The Lancaster Rustic Drawer End Table with Floor Protectors by Magnussen Home at Reeds Furniture in the Los Angeles, Thousand Oaks, Simi Valley, Agoura Hills, Woodland Hills, California area. Product availability may vary. Contact us for the most current availability on this product. The Lancaster collection is a great option if you are looking for Rustic furniture in the Los Angeles, Thousand Oaks, Simi Valley, Agoura Hills, Woodland Hills, California area.